"Always smiling and offering a helping hand. Her sense of..."
"Such a nice person and friend to me. 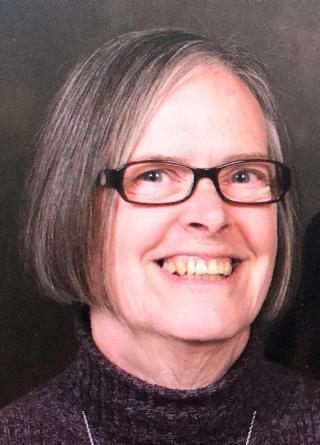 I will really miss her"
On September 1, 2018, Karen Jean Kolseth, loving wife of Dale Kolseth and mother of three, passed away suddenly while enjoying a cruise to Alaska. She was born February 20, 1942 to Alfred and Greta Manteuffel. She and her brother, Alfred Manteuffel, Jr., grew up in Oak Park, Illinois attending Grace Lutheran Church and School. She then attended Oak Park and River Forest High School, where she was set up on a blind date with her future husband, Dale. They married and made a home in Canton, Ohio, where they raised three children: Lise Jordan, Erik Kolseth and Kari Windes. Quitting office work to become a stay-at-home mother until the children were of school age. Once the youngest child hit kindergarten, Karen went back to college ("I was going to be 40 with or without a degree, so why not get one? "), graduating from Kent State University with a B.A. in Social Work. Colorado Springs was their final destination, where both Karen and Dale retired, finding a spiritual home in Bethel Lutheran. There, the couple established Second Family Ministries in honor of the life of their oldest child, Lise, who passed from breast cancer. Karen leaves behind her husband of fifty-five years, Dale; their two children; and grandchildren, Olivia, Curtis, Brian, Haley, Jacob, Kaylie, Josie and Ben. Memorial Service, 11:00AM, Saturday, September 15, 2018, Bethel Lutheran Church, 4925 Farmingdale Drive, Colorado Springs, Colorado 80917. She will be sorely and sadly missed. Memorial contributions may be made in Karen's memory to Second Family Ministries, care of Bethel Lutheran Church.